American Standard makes a range of gas furnaces that includes models for every budget. The American Standard Silver SI 90 offers a low price tag and also excellent fuel efficiency of 92.1 AFUE. This furnace, also called the American Standard 90, was recently purchased by Reed in South Carolina and he passes along the American Standard Silver SI 90 gas furnace price he paid. 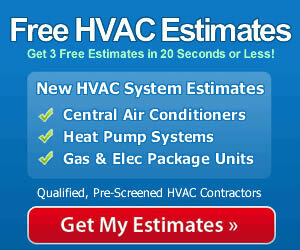 “Last winter the old furnace in a rental of mine started acting up. I paid to have it repaired but when the weather warmed up on March I had to replace it. Not wanting to spend a lot of money, but also needing a reliable and sturdy furnace due to the nature of rental properties, I opted for the American Standard Silver SI 90. I got gas furnace prices from Trane and Goodman, and they actually came in slightly lower than this one, but I’d read good things about the American Standard so bought one at a wholesale warehouse. My renter asked to trade a couple of months of rent to install it. He’s a mechanic and he’s done other work on the house including wiring and roofing in exchange for rent. I said okay after getting an installation estimate of close to 2 grand. Bob and his brother removed the old furnace apparently without trouble. The next day I got a call in the afternoon and Bob told me he was having second thoughts about the installation. Seems he didn’t have a couple of necessary tools and the gas line was going to have to be cut and rethreaded to match the new unit, plus he said he couldn’t figure out the wiring diagram. Long story short, I gave Bob a discount on his rent for the next month for removing the old unit and paid the American Standard dealer the full $2,000 to install the unit. I lost on that “bargain.” Just another lesson learned in the rental business. The furnace works great, by the way. No problems whatsoever. Here’s what I paid – not including my lost rent! 92% AFUE – fuel efficiency basically. Heavy-duty insulated cabinet to cut down on noise and to save heat. 5 sizes are: 38K Btu/ 2 ton; 56K /3 ton; 74K / 3.5 ton; 94K 4 ton; 93K / 5 ton; 113K / 5 ton. That’s a great idea Reed. We all like to cut costs where we can, but installation of a gas furnace isn’t the best place to try to save money. If often ends up costing a homeowner like as it did Reed because improper installation can shorten the longevity of the unit or lead to mechanical problems. Most furnaces must be installed by a qualified contractor for the warranty to be honored, too. Leave it to the professionals and have the peace of mind that the furnace is installed properly, is giving you the performance it should, and is operating safely.